This level has medium difficulty. 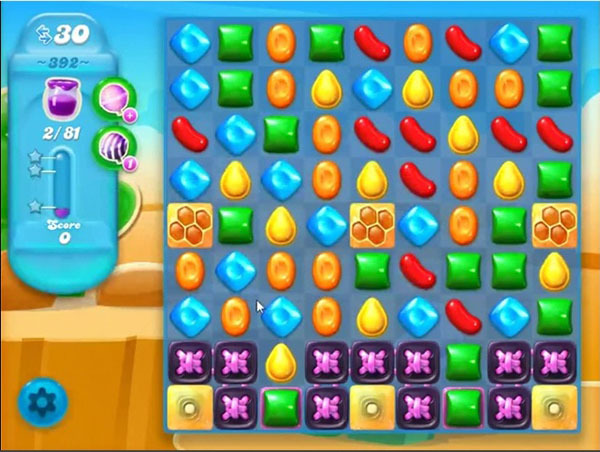 For this level try to play from bottom and break the blockers and Jam candy. As you get the chance to make special candy then make it and combine with other special candy to spread the jam to all of the board. My Level 392 Candy Crush Soda Saga starts with only 20 chances—not 30!! !